Parents of Tradition Early Childhood Education Class for Native families with children birth to 5 years old. Teach your child Ojibwe & Dakota language, Traditional Native American parenting connect to other Native parents, learn about community resources, prepare your baby for school. Two classes offered 2016-17 Academic Year: Monday afternoons at Mona Moede, 2410 Girard Ave N., Minneapolis. From 12 pm to 2 pm (includes refreshments). And Thursday evenings at the Wilder Complex, 3345 Chicago Ave., (enter through door #1). 5 pm to 7 pm (includes light dinner). Contact Deanna StandingCloud to register or to request transportation at 612-668-0612. Two Rivers and All My Relations Galleries present: Reframe Minnesota, a group exhibition shown across two art galleries along the American Indian Cultural Corridor, uses a range of visual mediums to explore the future of public art at the Minnesota State Capitol. It features original works from 12 Minnesotan artists as well as student artwork from area elementary schools. Showing at: Two Rivers Gallery: 1530 E Franklin Ave, Minneapolis, and All My Relations Arts: 1414 E Franklin Ave, Minnneapolis. For info see: www.tworiversarts.com or www.allmyrelationsarts.com. Fridays: 3 – 6 pm. Come for fresh produce from area vendors. Use your EBT-SNAP card. Buy tokens and get Market Bucks to matchdollar-to-dollar (up to $10). Use tokens to buy from maret vendors or keep for future visits. NACDI parking lot (next to the Powwow Grounds), 1414 E. Frankline Ave., Mpls, MN. For more info or to be a vendor, call Jenn Hall at 612-235-4971. The Land Buy Back Program for Tribal Nations implements the land consolidation component of the Cobell Settlement. The Bad River Tribe is participating in this program and will be conducting a number of outreach events to provide more information to Bad River landowners. For more info, call LBBP Bad River at 715-682-2851. • Sept. 1: 10 am – 4 pm, American Indian Center, 1530 Franklin Ave., Minneapolis. • Sept. 2 & 3: 11 am – 7 pm, Cass Lake Labor Day Powwow, Cass Lake, MN. • Sept. 9 & 10: 11 am – 7 pm, Informational Booth, Indian Summer Festival, 200 N. Harbor Drive, Milwaukee, WI. • Sept. 14: 12 pm – 6 pm, American Indian Community Housing Organization, 202 West 2nd St., Duluth, MN. • Sept. 17: 12 pm – 8 pm, American Indian Center Annual Powwow, Busse Woods Forest Preserve, Elk Grove Village, IL. • Sept. 21: 11 am – 7 pm, Presentation at LCO Tribal Gov. Center, 13394 Trepania Road, Hayward, WI. • Sept. 14: 12- 6 pm, Post Offer Event at AICHO in Duluth, Trepanier Hall, 202 W. 2nd St., Duluth, MN. • Sept. 7: 11 am – 6 pm, Post Offer Event at Bemidji, 1500 Birchmont Dr. NE #21, Bemidji, MN. Peter Larson Rm., 13394 W. Trepania Rd., Hayward, WI. We are creating a series of 84 hand sewn quilts. When completed, the quilts will be laid outdoors for an all night performance filled with dance, storytelling and stargazing! We provide all materials as well as beverages and snacks. We will be holding Saturday morning Quilting Bees at Two Rivers Gallery and Thursday evening Quilting Bees at Studio 207 at The Ivy Building. Quilting Bees at Two Rivers Gallery (1530 E Franklin Ave Minneapolis) from 10 am – 2 pm on Saturdays: September 17, October 15, November 12 and December 10. Quilting Bees at The Ivy Arts Building (2637 27th Ave S, Minneapolis, Studio #207) from 6-8 pm on Thursdays. September 8 & 22, October 6 & 20, November 3 & 17 and December 1 & 15. Contact julia@catalystdance.com with any questions. For more information on the project please visit www.catalystdance.com/then-a-cunning-voice. Everyone is welcome. Come meet other families and learn about the Independent School District 15 American Indian Education Program. Please join us for dinner and a cultural art activity provided by the program. 5 – 7 pm. Crossroads School & Vocational Center, 4111 Ambassador Blvd. NW, St. Francis, MN. For more information contact Carline Sargent at 763-213-1575 or email to carline.sargent@isd15.org. Fundraising event for Elders in the Wisdom Steps program. Starts at 9 am for registration, 10 am is Shot Gun Start. Prices vary depending on the type of sponsorships. This event will be held at the Black Bear Golf Course in Carlton, MN (20 miles south of Duluth, MN). For info, contact Drew Annette at 218-335-8586, or dannette@mnchippewatribe.org. For Leech Lake band members. Free. 11 am-2 pm. Veterans Memorial Park – Picnic Shelter, 6335 Portland Ave, Richfield, MN. For info, call Valerie Larsen at 612-729-0554. Watch museum staff process wild rice, including how to dry, parch, thresh and winnow the rice. See the entire process from raw to finished product during 20-minute demonstrations offered on the hour. Demonstrations may be cancelled due to weather. The program begins at noon, 1, 2 and 3 pm. Free, does not include museum admission.Mille Lacs Indian Museum and Trading Post, 43411 Oodena Dr., Onamia, MN. For info, contact 320-532-3632 or millelacs@mnhs.org. Indian Education Family Language Table will take place every Monday starting eptember 12th. Join Anishinaabe Linguist & Scholar, James “Kaagegaabaw” Vukelich along with Dakota Educator, Neil “Chantemaza” McKay to explore the teachings and language of the Ojibwe & Dakota people. Light refreshments and tea provided. Community members welcome to attend. 6:30 pm to 8:30 pm. 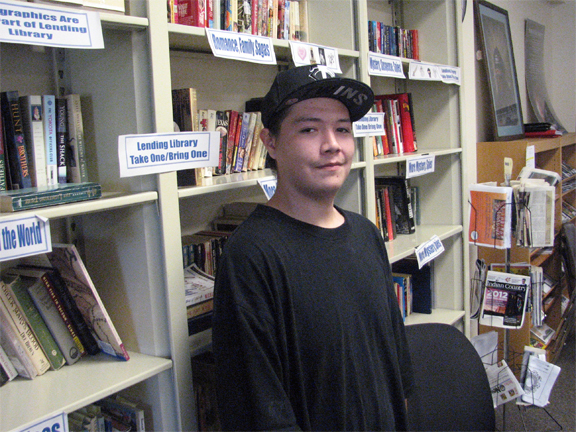 Anishinabe Academy Media Center, 3100 East 28th St., Minneapolis, MN. For info, call Deanna StandingCloud at 612-668-0612. According to the language set forth in the State Legislature’s Laws of 2015, applicants may request funding for Competitive Grants for Language Immersion. 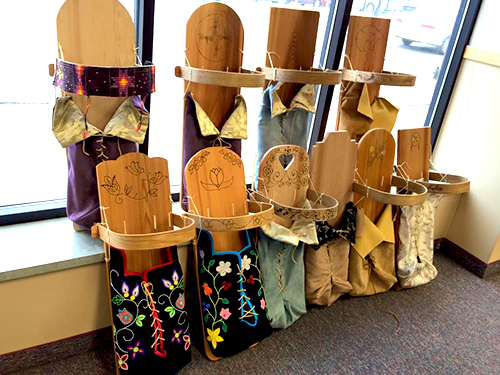 The funding amount available is between $40,000 and $48,000, which may be used for Dakota and/or Ojibwe Language Revitalization programming with the option of using funding for a community event/s or language application. Eligible project areas are intentionally broad and somewhat flexible, so that a diverse array of projects can be funded. Offices, agencies, or divisions administered under the authority of an American Indian Nation or Alaskan Native Community located in Minnesota, recognized educational facilities, and non- profits are encouraged to apply. Deadline September 14. See info at http://mn.gov/indianaffairs. Over 150 harvesters, farmers, sappers, food product producers, and Indigenous chefs will come together for a series of presentations and workshops on growing, harvesting and cooking a variety of natural and healthy foods. The Summit will highlight traditional and contemporary Native American foods and culinary arts, including Sean Sherman of the company The Sioux Chef. Those chefs will be preparing meals featuring traditional and native produced ingredients. Presentations and speakers on sustainability, food security, production practices, making sugar, sapping, traditional harvest techniques, butchering and meal preparation will be featured. The event will be held at the Red Lake Nation College in Red Lake, Minnesota with additional workshop sessions preceding the main conference. A pre-conference certification for USDA Federal Vendor status, Organic and Good Agricultural Practices (GAP) will take place on September 14th followed by a NRCS workshop on Conservation Planning with tours of the nursery, fish hatchery and tribal garden scheduled on September 15th. The cost to attend the full summit is $100 for agency staff, $50 for tribal producers and Native art venders, and $15 per adult to attend the Intertribal Foods Festival on Saturday, September 17th. Children under 16 may attend free of charge. Discounted early bird registration tickets are available at:www.eventbrite.com/e/red-lake-food-summit-tickets-26258262169 For info contact: Dan Cornelius at 608-280-1267 or dan@indianaglink.com. Of Cherilyn Spear at 218-679-1457 or crspears@redlakenation.org. Red Lake Constitutional Reform Initiative meeting. We, the Constitutional Reform Committee, will engage and empower the communities of the Red Lake Nation to improve and strengthen the Constitution. Join us for a meal and let’s visit. Noon to 3 pm. 2929 Bloomington Ave., Minneapolis, MN. Augsburg’s Indigenous Student Association and MVFM join together to present the nationally acclaimed film, "The Jingle Dress," written and directed by Bill Eigen. A brief meeting with the writer and director as well as refreshments will prelude this film screeing beginning at 3:45 pm. The actual event will start at 4:00 pm and end at 6 pm. This event is free and open to the public. Sateren Auditorium, Augsburg College, 2211 Riverside Avenue, Minneapolis. Minnehaha Park pavilion, Minneapolis. If it rains, the picnic will be held at The Minneapolis American Indian Center,1530 E Franklin Ave., Mpls. Begins at 10:30. Event includes: Wisdom Steps Walk, music, lunch (provided but feel free to bring a dish to share), door prizes, raffle, activities, memorial honoring, photo booth, and voter registration. To arrange for a ride, contact: Richard Wright at 612-721-9814. For more info, contact: Norby Blake at 651-387-3166 or 651-793- 6818. All Nations Training Center near Pine Ridge, S.D. With the guidance of our elders and spirits we continue to provide culturally relevant/self-focused weekend experiences where all participants gain a clearer vision and purpose our families, communities and nations can benefit from. 5:00 pm Thursday to Noon on Sunday. What to bring: Bedroll. Men & Women will be staying at two separate facilities. Scholarships: Available to those that cannot afford to pay. We will screen the applications. Cost is $450.00 (scholarships available). Directions: One mile east of Batesland, SD on gravel road 199 Ave, go north 5.9 miles to 289th St take a right go one mile east over the hill to 200th Ave, take a right, you will see a Chief Eagle Used Cars & All Nations Training Center sign on the corner post, go 1/2 mile south. For applications or more info, call or email Dallas dchiefe@gwtc.net or 605-407-0677. Or Becky at rchiefeagle@ hotmail.com or 605-407-8998, or John Biris at 773-425-9351. Learn the art of making a coil sweetgrass basket in this two-day workshop. Sweetgrass is a fragrant sacred herb used in ceremonies and artwork by the Ojibwe. Refreshments and a light lunch will be provided on both days. The workshop runs noon to 4 pm Saturday, and 10 am to 2 pm on Sunday. A minimum of five participants is required. Children under age 18 must be accompanied by an adult. Registration is required three days prior to workshop. $60/$55 MNHS members, plus $15 supply fee. Reservations required, call 320-532-3632. Mille Lacs Indian Museum and Trading Post, 43411 Oodena Dr., Onamia, MN. For info, contact 320-532-3632 or millelacs@mnhs.org. This conference will be a first-of-its-kind forum to share and advance knowledge related to the dietary health of Native communities. It represents a commitment by the Shakopee Mdewakanton Sioux Community and the University of Minnesota to co-organize a series of annual national conferences focused on the nutrition of Native peoples. Tribal leaders, Native and non-Native practitioners, researchers, public health experts, and others are invited to exchange Indigenous and academic scientific knowledge; discuss current practices; listen to, connect with, and learn from each other; and candidly explore ways to overcome the existing obstacles to greater understanding. Additionally, the conference aims to identify areas of needed research, discuss practical applications, and foster new collaborations. Over 20 confirmed speakers include both academics, students, and practitioners working in Indian Country, including. The full agenda, registration, abstract submission, and other information are available at SeedsOfNativeHealth.org/Conference. Are you Native American and looking for chronic illness support? Join us, the Native FAN Wellness Support Circle, for a meal and good company every last Wednesday of the month. 6-8 pm at MAIC, 1530 E Franklin Ave., Mpls. For info, contact Val Lafave at 612-879-1722 or vlafave@maicnet.org. Speak with representatives from a variety of post-secondary institutions, job training and community programs, and learn about college life, courses, ad-mission & financial aid requirements. We will have a light, healthy meal for the first 300 attendees. We will also have a cultural demonstration, musical performance, and lots of door prizes. 4 – 7 pm. Schedule: 3:15 – 4:00 Lacrosse Demo, 4:00 – 7:00 College Fair, 5:00 – 6:00 Dinner, 5:30 – 6:30 Entertainment. East Phillips Park Cultural & Community Center, 2307 17th Ave S, Minneapolis, MN.